When Jesus said, “The poor you will always have with you,” who knew the Massachusetts Lottery would be around to make sure he was proved right? Data collected by Globe reporter Catherine Cloutier show the Lottery is often a Robin Hood in reverse, taking from the poor and giving to the rich. Chelsea, for instance, is one of the state’s worse-off cities, with a poverty rate of 25 percent. 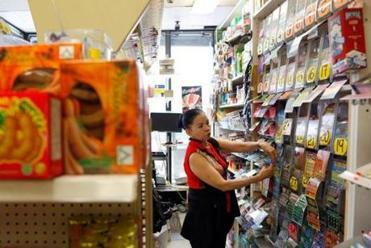 Its residents spend an average $1,178 a year on lottery tickets. Meanwhile, those in ultra-wealthy Weston spend a scant $45 a year. And who benefits? The whole point of the lottery is to generate money for municipalities. Certainly Weston does well. Its gambling-averse residents contributed just $100,519 in net lottery revenue last year, but received back state aid of $316,391. Meanwhile, Chelsea got back over $1 million less in aid than its citizens spent. A big shout-out from Weston: Thanks, Chelsea! Shocked? Don’t be. These are the dirty secrets not only of the Bay State’s lottery, but of all government-sponsored lotteries. In the case of Massachusetts, we’ll probably see some minor re-jiggering of distribution formulas to get a little more money to worse-off towns. 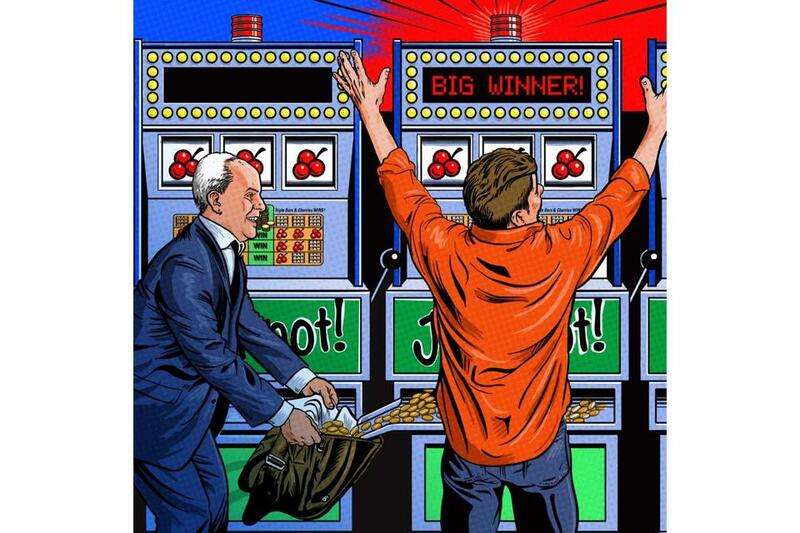 But the heart of the problem will remain: Lotteries prey on the gullible, desperate, and poor, amounting in essence to a highly regressive tax. True, unlike with taxes, no one is compelled to purchase a lottery ticket. But the distinction is hollow. For all intents and purposes, lotteries are used for the same purposes as taxes. New Hampshire created the first modern-day state lottery in 1964. Today, 44 states have them, generating annual sales of over $68 billion. Most states use net earnings (that is, after winnings and administrative costs) to support popular programs such as the arts, schools, or aid to cities and towns. They build up strong constituencies: the beneficiaries, naturally, as well small retailers who rely on them as a mainstay for their business. An analysis shows that 189 municipalities pay more into the lottery than they get back as aid, including 58 where income is below the state average. Explore: Who wins, who loses in the Mass. lottery? More like, “Hey, you know, never.” The chances of winning $1 million in Mega Millions, for example, are 1 in 18,492,204. How unlikely is that? The odds of you someday getting struck by lightning are 6,164 times greater. Unfortunately, that’s the way the numbers work; there have to be a lot of losers for there to be one big winner. True, the odds are better for smaller prizes, but even so, over time the average player must lose. The reason is that gambling is a negative-sum game. In the case of the Massachusetts Lottery, 28 percent of gross receipts are kept by the state. And who plays? Not those with high incomes and good educations; they figure the ladder to success is climbed in other ways. But people stuck in dead-end circumstances or working multiple jobs often see lotteries as their only way out — an idea the state commissions do a good job of promoting. It’s the poorest among us who buy the most lottery tickets; indeed, one study found individuals making $13,000 or less spend a shocking 9 percent of their incomes on lotteries. Don’t get me wrong. If people want to gamble, by all means let them. But one can be a libertarian on this while at the same time believing that we cross an uncomfortable ethical line when we go from allowing individuals to gamble to setting up a vast marketing and distribution scheme urging them to do so. And, of course, here in Massachusetts we’re about to take that one step further, as the state prepares for casino gambling. By rights, if we want to fund local aid or otherwise spend on pet projects, we shouldn’t do so by picking the pockets of the neediest. Rather, we should either increase conventional taxes or reduce other spending. But politicians lose their jobs when they raise taxes or cut programs. No one gets fired, however, when yet another new lotto game reaps millions more. It feels like free money, even though it comes at great cost.